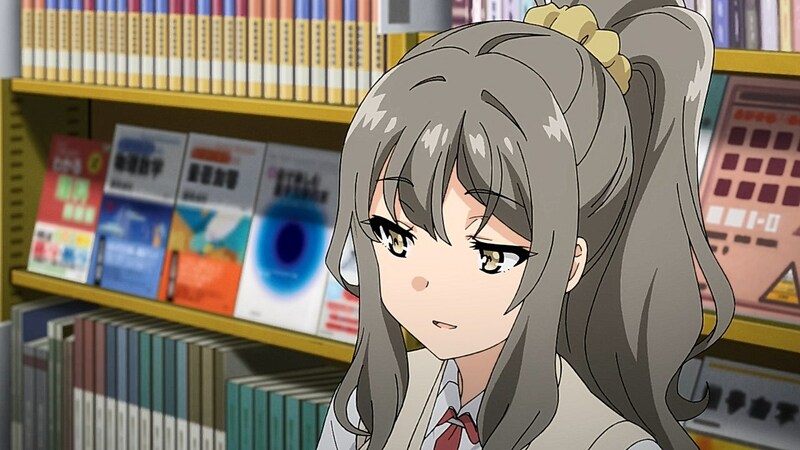 Seishun Buta Yarou has gotten out of hand because now there are two Futaba’s: One that resembles our ordinary Futaba and one that wears her hair down, puts on contacts, and spends her time at school watching over Kunimi. 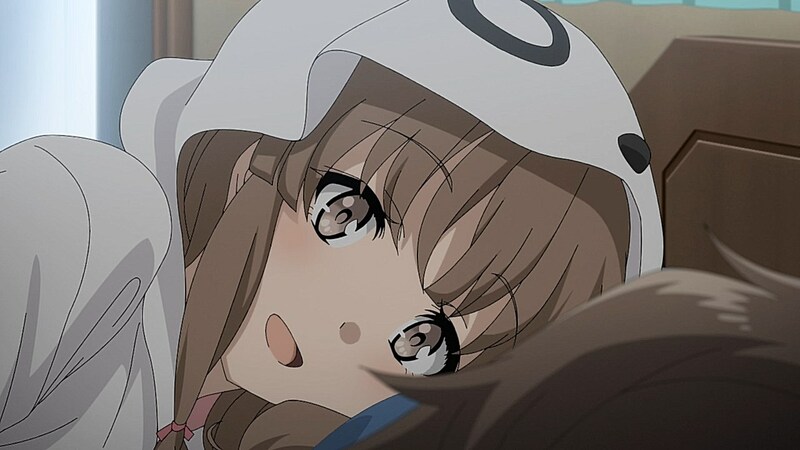 As the one character who strongly denies Adolescence Syndrome and opts to tell Sakuta about her scientific understanding of these abnormalities, it is neat to see how Futaba reacts to being the subject of the syndrome. 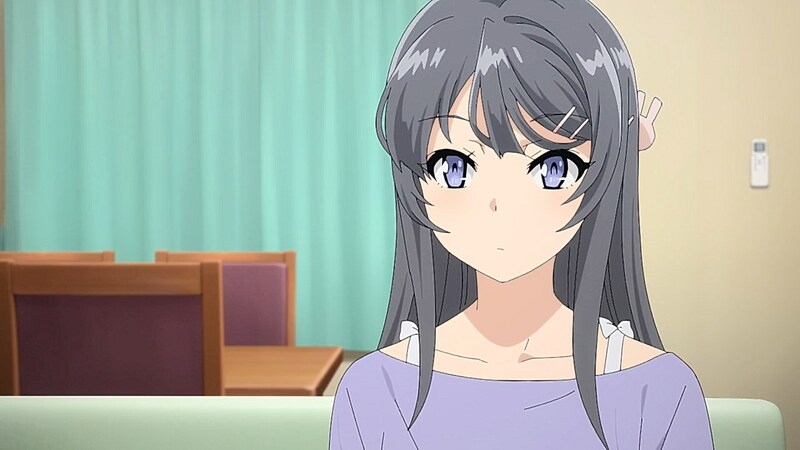 Futaba’s theory of three versions of the same person is used to explain why the younger Shouko is a different person with the same name and same-ish appearance. 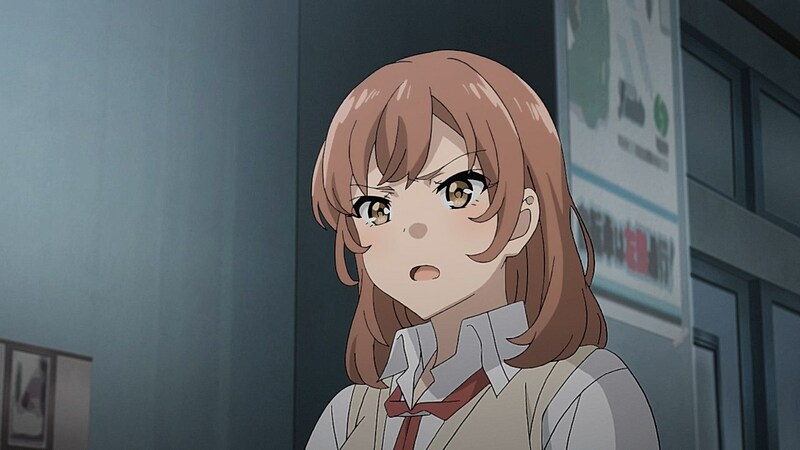 But little did she realize that it would literally apply towards her own situation as Sakuta is tasked with micromanaging both Futaba’s and keeping them out of trouble as much as he can. 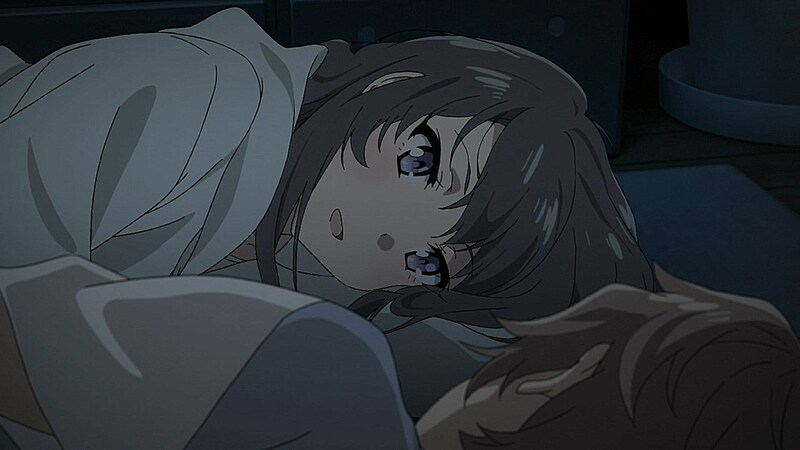 The first episode of the new arc is exactly what the series needed after having Sakuta help Koga work through her unrequited feelings for him. With Futaba’s personal feelings coming out in small bursts throughout the past few episodes, this episode proved to satisfy the itch of knowing that it is paying off in the form of giving Futaba her own arc. 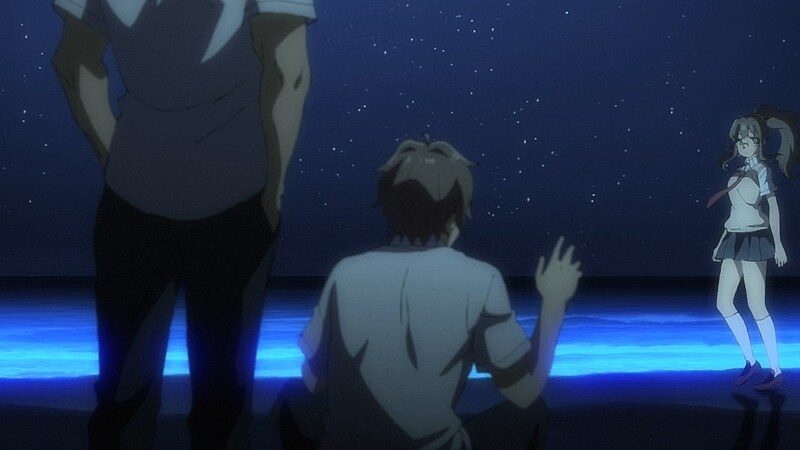 This latest arc takes the series’ side-characters into consideration as we get deeper insight to Futaba’s point-of-view, and how her behavior affects Kunimi, his girlfriend, and others around her. 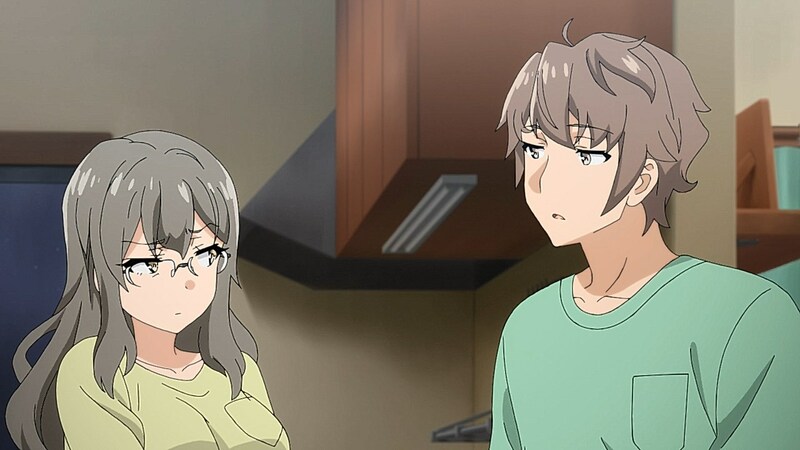 The duality between the two Futaba’s is clear-cut in having the regular Futaba represent the side she shows to Sakuta, and the Futaba at school representing her repressed side that she keeps under wraps out of fear of letting Kunimi know how she feels about him. On the surface, that much makes sense. 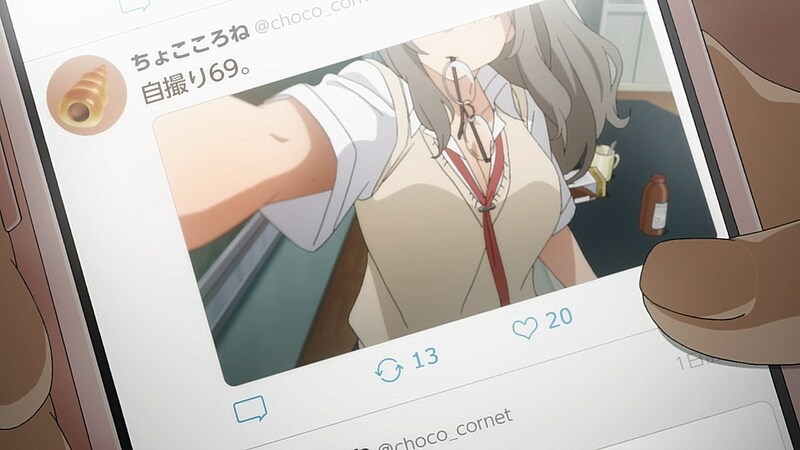 However, Kunimi’s girlfriend un-earths something far more troubling about Futaba when she shows Sakuta her hidden social media account where she posts suggestive photos of herself. 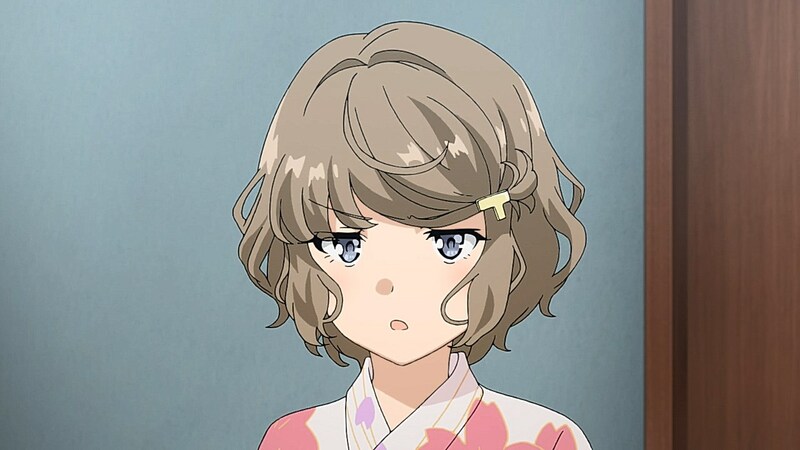 Her suspicions that Futaba was up to something were already on high alert with the amount of attention she gives to Kunimi, but knowing that Futaba’s repressed side is expressed through her social media presence does more to justify her mindset about her than the overblown and erratic reaction we would’ve expected. 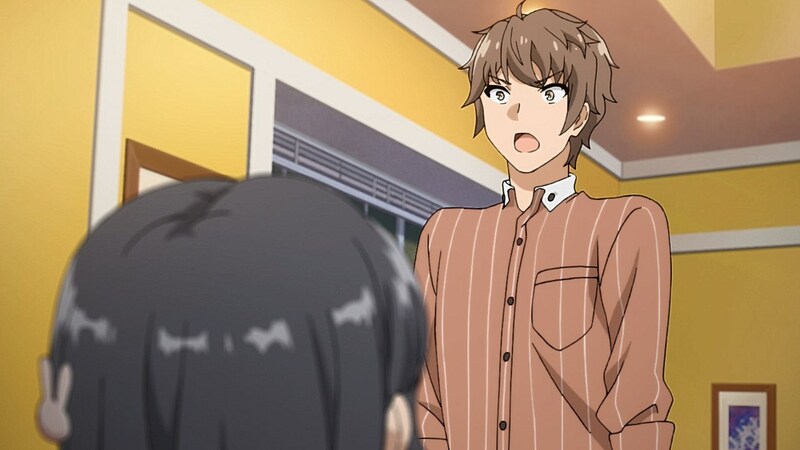 From Sakuta’s and the audience’s perspective, being left in the dark about Futaba’s behavior outside of the club room makes this turn of events far more interesting now that this can of worms has been opened. 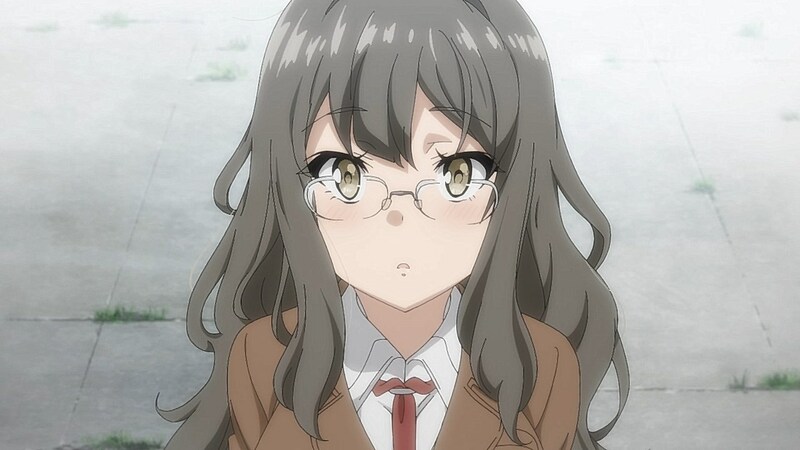 Not to mention that Futaba’s theory is that there are three versions of the same person out there, so this Futaba might just be a third one that represents something completely different. It’s an agonizing cliffhanger to face considering that it proposes so many questions I want to see answered, but it makes for some great television to keep up with. 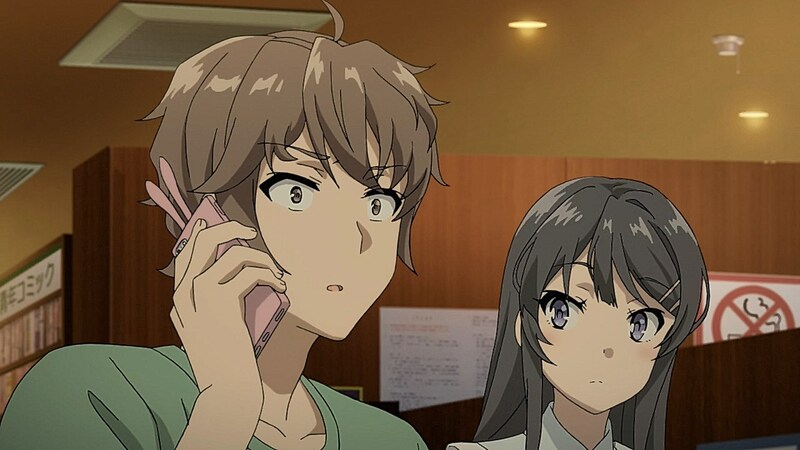 Now that Sakuta and Mai are able to hang out more, we also have more of an opportunity to see the two interact with each other. 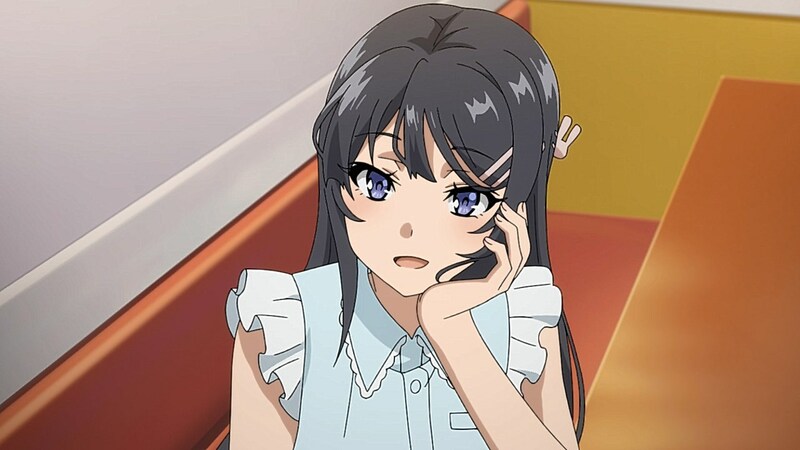 The banter is as fresh as always and it is promising that Mai is interested in giving Sakuta the go-ahead to make the first move with her at any point. 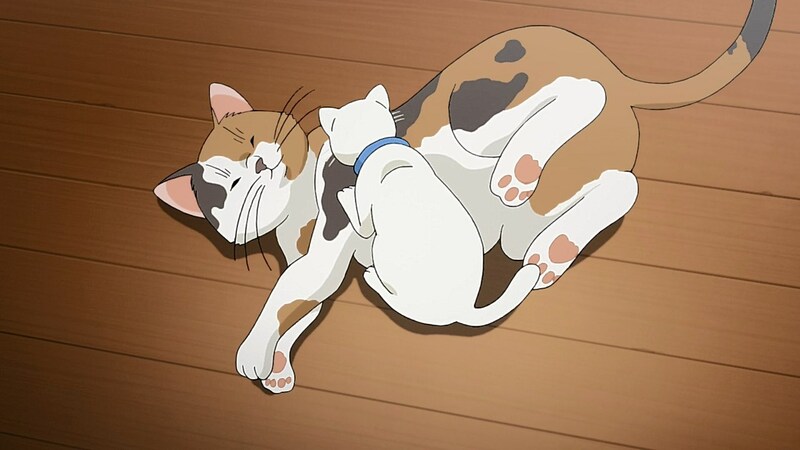 But the episode also has many developments for the couple too with how they learn to understand one another. 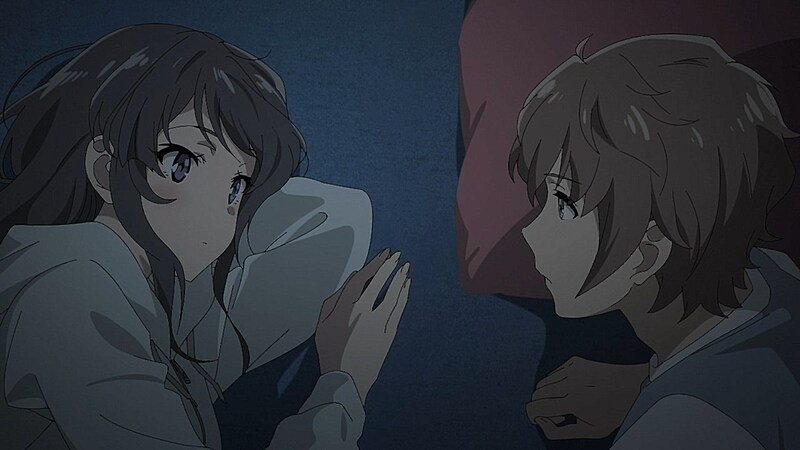 Sakuta’s willingness to help anyone that crosses his path may be noble, but Mai takes how these situations realistically look into consideration when she disapproves of Sakuta offering to have girls like Futaba stay over his house when she asks him how he’d feel if she invited another guy over to her place. 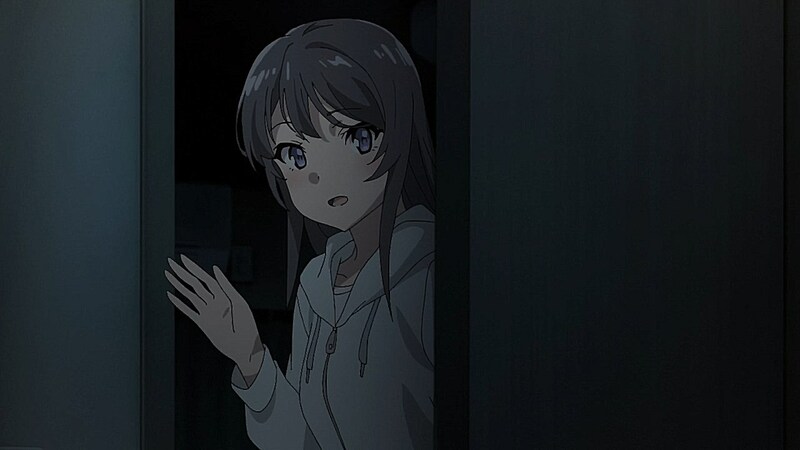 The episode also confronts their issues of time management when Mai is apologetic about the lack of time she’s been able to have in hanging out with Sakuta while she works. 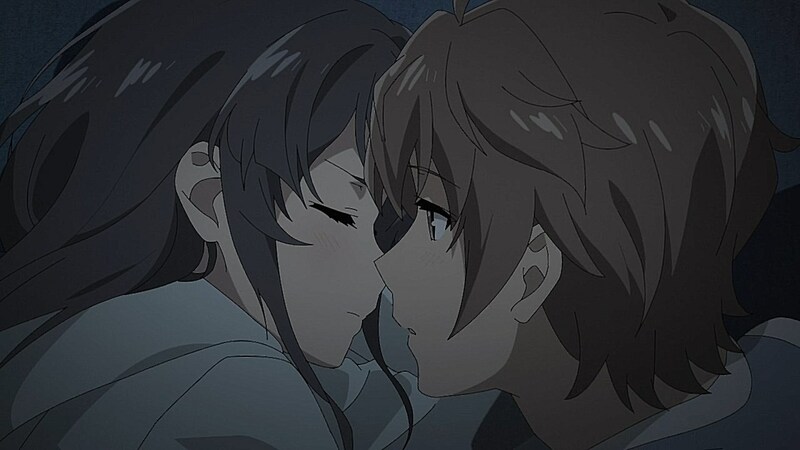 Sakuta has been fine with the set-up, even if it only makes him lonelier and thirstier, but with Mai’s acting obligation and the surprise her manager has shown, the show doesn’t shy away from giving Sakuta and Mai challenges of their own that they have to face before they can comfortably enjoy their relationship. 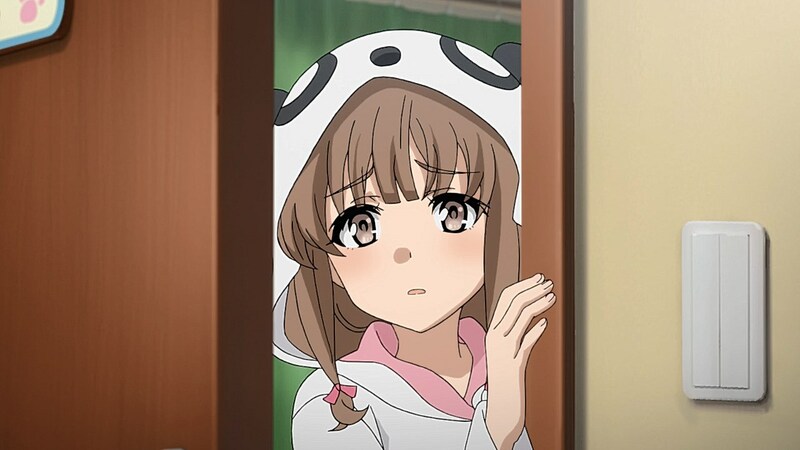 One cool thing about the episode is how much attention they gave to Kaede. 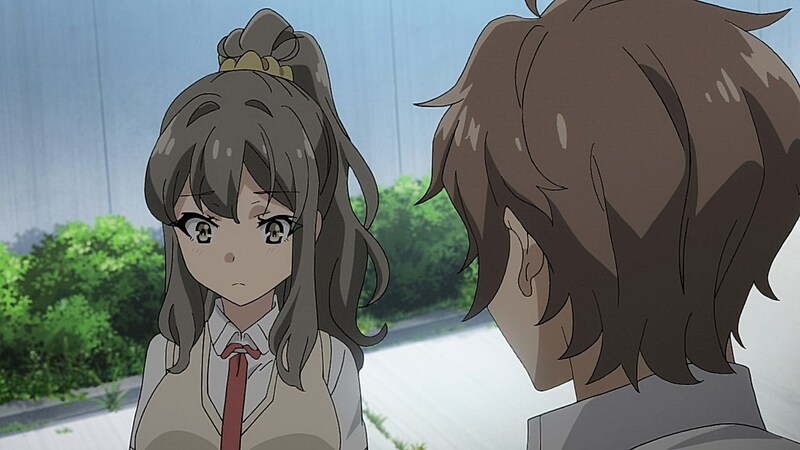 She was on a roll with how funny she was in this episode such as when she got clingy and attached to Sakuta after feeling threatened by his latest interactions with Shouko and Futaba. 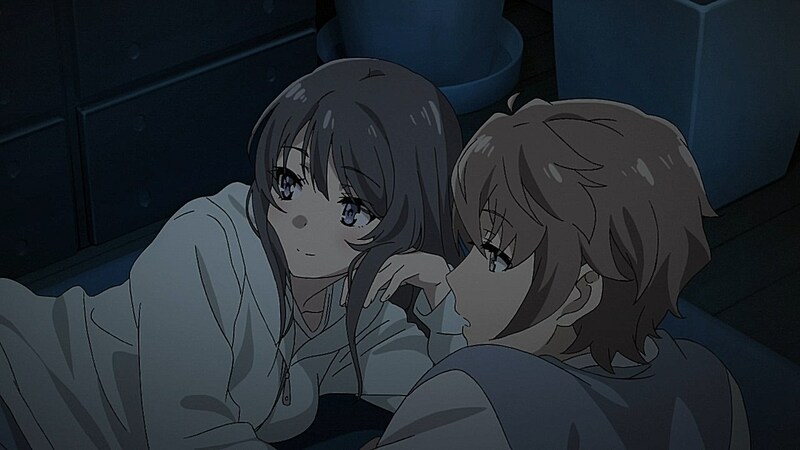 With Shouko, she felt the heat as his attachment to the younger Shouko was the biggest crisis in the history of Kaede, especially since he hasn’t been interested in having her sneak in his bed. 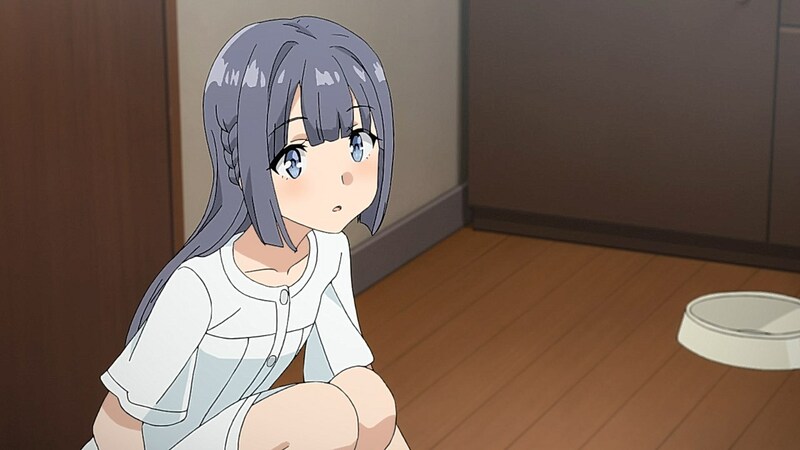 Her funnier moments shone through in adding comedy to the episode, but the story also hints towards the linger after-effects of what she’s been through. 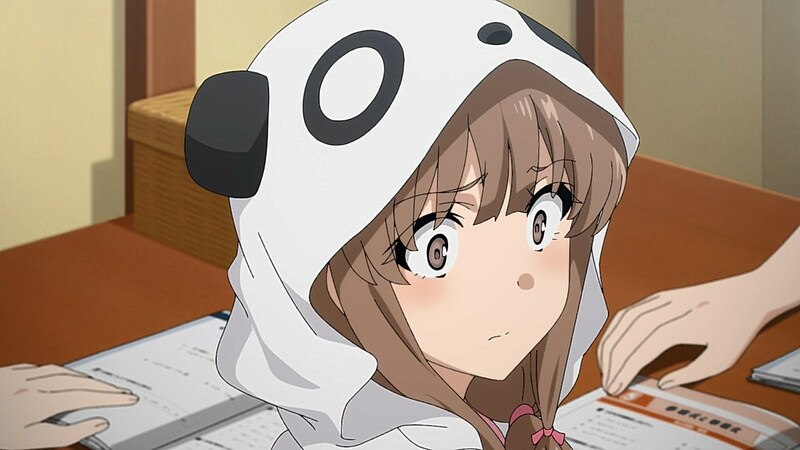 The short burst of terror she expressed when she heard a ringtone is indicative towards Kaede still going through trauma after everything she’s had to endure. 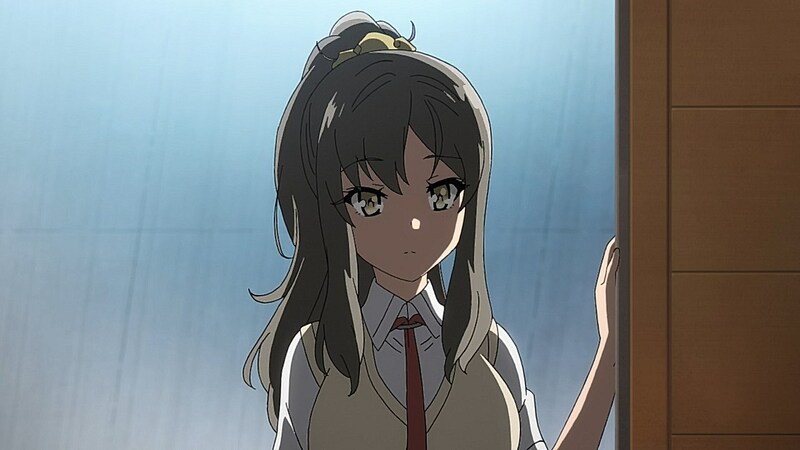 I’m looking forward to seeing what comes from this and the revelations we’ve learned about Mai’s manager and Futaba’s private life in this episode. The original is best no matter how hot the other personalities are. 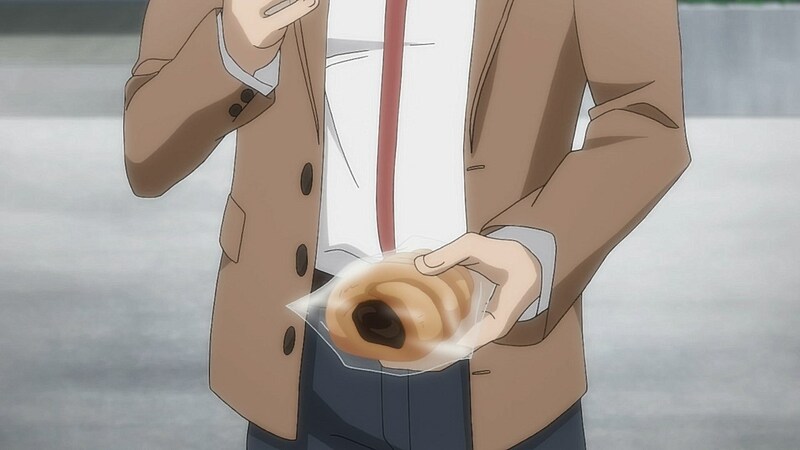 Thanks to Futaba and Rikka from Gridman, I might be turning into Kyon…. 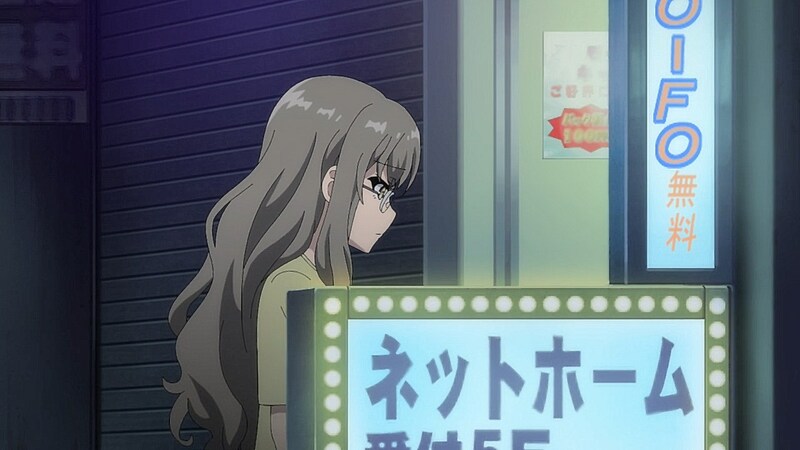 …’cause that ponytail Futaba had looked so good on her it was criminal! Just how great is this show? Telling stories calmly, and tons of great characters with good banter. I love it. 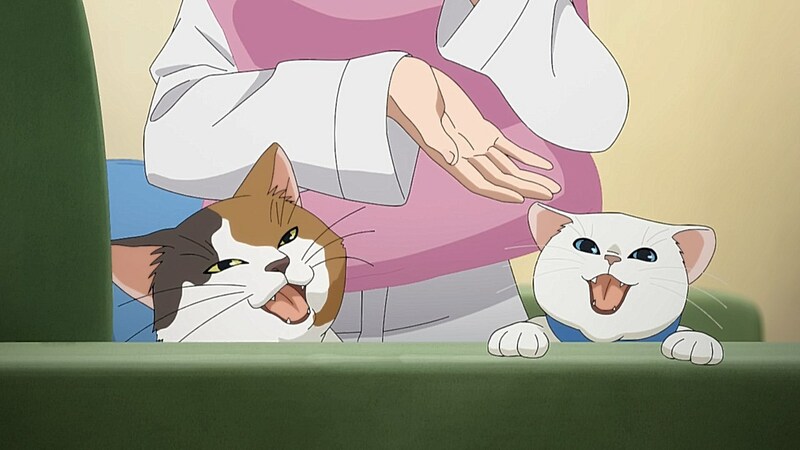 And what are the odds that a third Futaba would be one that is hell bent on destroying? Yeah, the similarities between this show and the Monogatari series are increasing (as a matter of fact, I’m curretly rewatching all the Monogatari series). 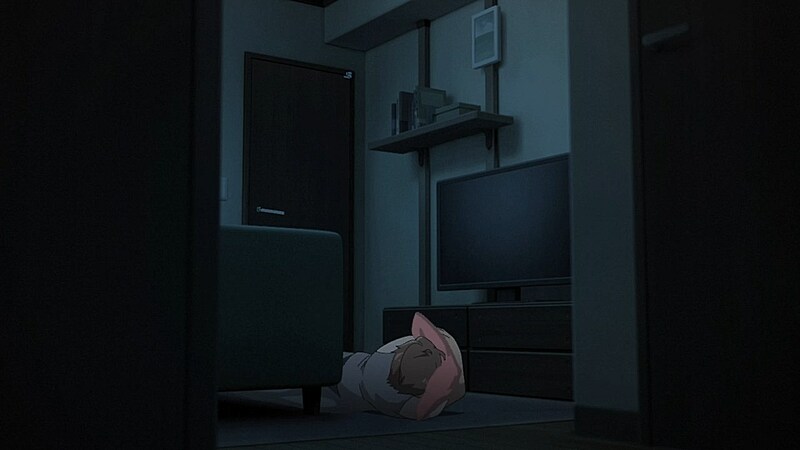 Despite that, I’m enjoying this show a lot. I’m just here for the No Doubt reference. I have to say this episode has incredibly surprising me. 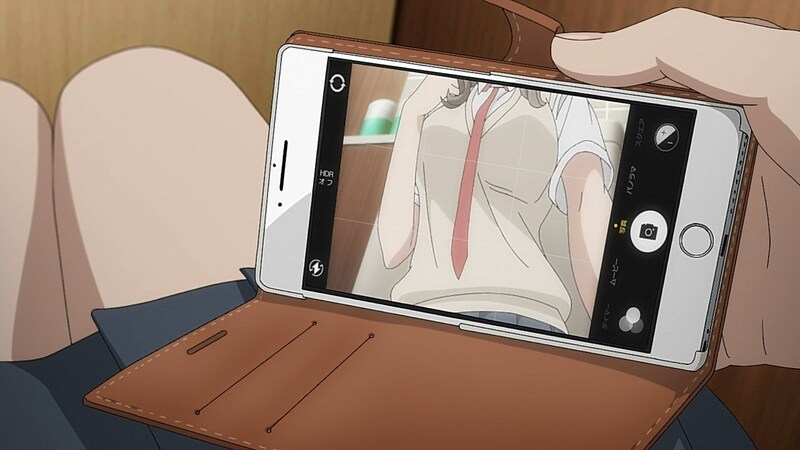 Up to the end- with Futaba taking suggestive pictures. 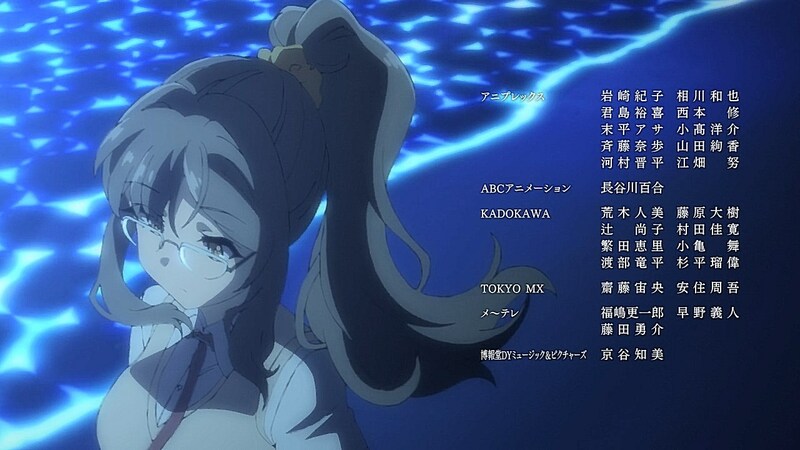 I really do love the ending, her ending style is great. Looking forward for the next episode. 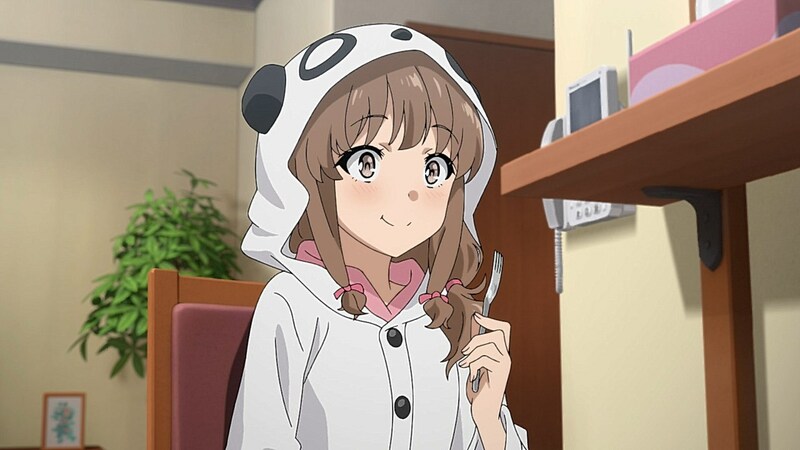 Kaede’s sencere response “Oni-chan” is SOOO genuine it’s strait up criminal. On time like the trains in Japan. What about a plot twist? 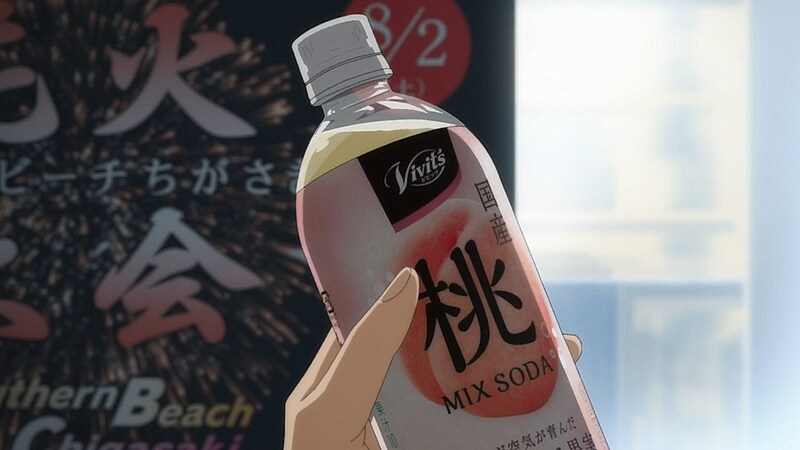 Perhaps the doppelgänger was created not by Futaba, but by Kunimi or even his girlfriend unconsciously? 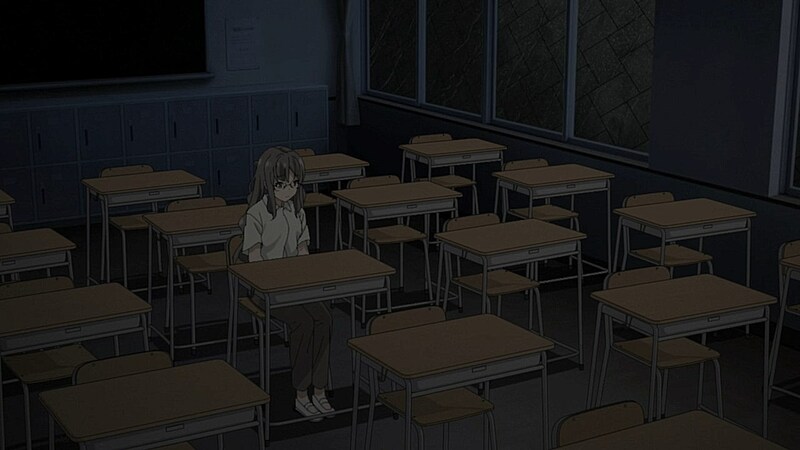 Kunimi might be longing for Futaba to show her feelings and her girlfriend might want to ruin Futaba’s reputation. I have to say this episode has incredibly surprising me. 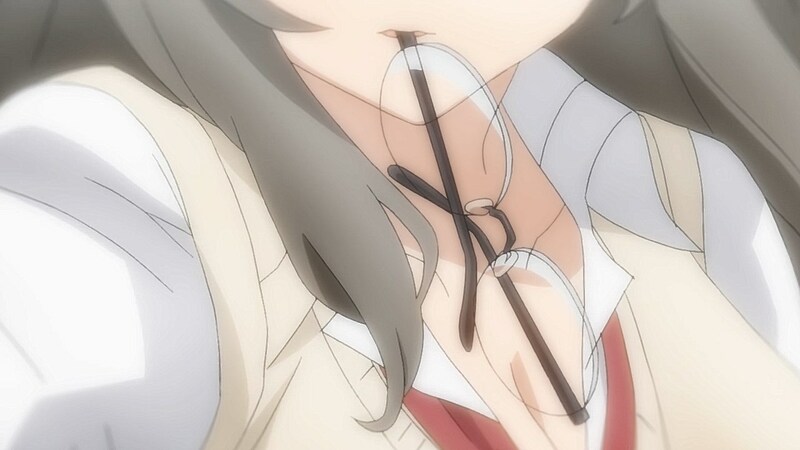 Up to the end- with Futaba taking suggestive pictures. 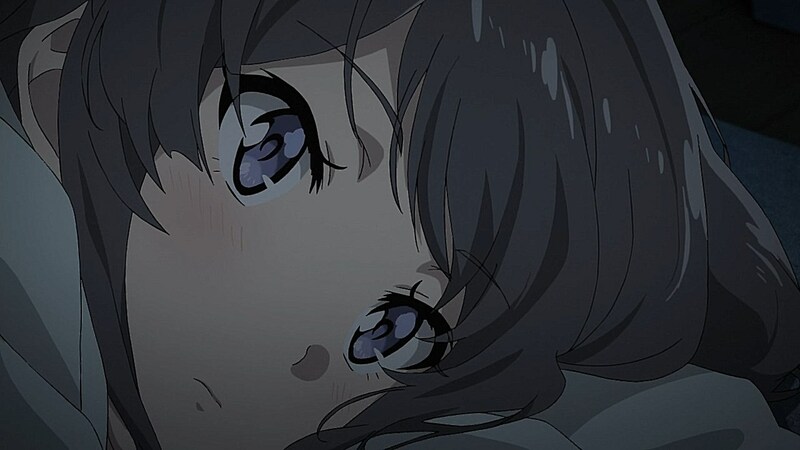 I really do love the ending, her ending style is great. 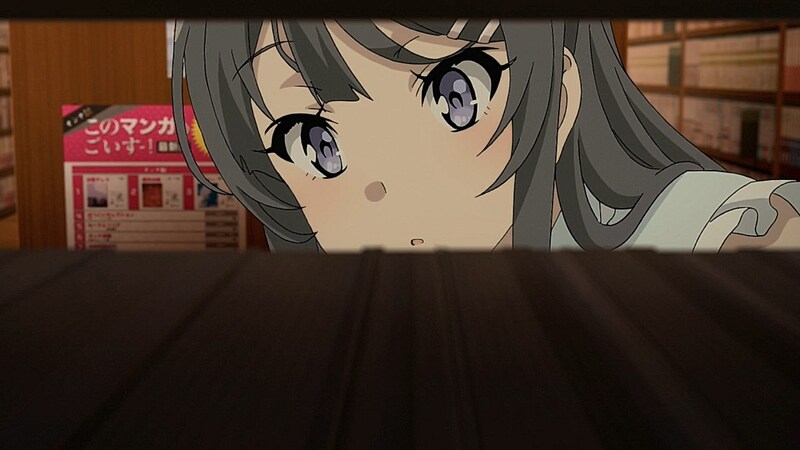 Looking forward for the next episode.